Looking for Bacolod Real Estate? 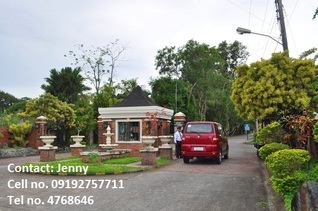 browse through our listings of properties for sale in Bacolod city, We have listed here Bacolod House and lot for sale, Condominiums and commercial properties for sale in Bacolod city and almost all new residential developments in Bacolod are also listed here. a new community develop by Megaworld. 2toilet and Baths,1 master toilet and Bath, Carport Balcony, fence. NOW OPENS AN ELEGANT HOUSE LOT PACKAGE AT A VERY AFFORDABLE PRICE. Amaia Steps Bacolod, the first condominium project by Ayala Land in Bacolod city. San Juan Street, Bacolod City, at the back of Capitol building, near Capitol Lagoon. Amaia Steps accessible for your needs and leisure - shopping malls, supermarkets, seafood restaurants, banks, schools, hospitals, park and lagoon. Amaia Steps Bacolod is now open for reservation for P10,000 pesos only! O Residences Bacolod is the latest Prestige condominium unit in Bacolod city, conveniently located Just beside Robinson's Place for your shopping, entertainment and dining convenience. This 14 story building is in a prime location, conveniently located near schools, churches, hospitals, banks, business centers and golf courses. Town and Country is a British Them fully-developed upscale 60-hectare residential estate that boasts of country club amenities. The development follows an interesting diagonal design pattern that maximizes frontage of lots. It is located in the outskirts of Bacolod in Talisay, Negros Occidental.